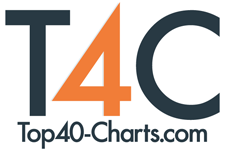 New York, NY (Top40 Charts) Multiple national placements have greeted the joyful, witty debut album by Vancouver-based singer Angela Verbrugge. With two Exclusive Song Premieres in Jazziz Magazine, an Exclusive Premiere in JazzTimes (along with an upcoming print edition review) and a collection of short-lead interviews and album write-ups, Verbrugge is seeing enthusiasm build for her dream of a music career. In fact, in a remarkable bit of news, her album 'The Night We Couldn't Say Good Night' debuted at #1 on the iTunes Jazz Chart in her native Canada. Veteran critic George Harris highlighted Verbrugge's original tracks and described the collection as "quirky with a swing." Look for Harris' review in JazzWeekly soon. Other articles have described the music as "beautifully patient and timeless"…"Angela lets her stunning vocals soar." 'The Night We Couldn't Say Good Night' (Gut String Records) combines original tracks with inspired covers. It's a remarkably strong collection, and the pedigree shines through as well. Verbrugge comments on her fine collaborators, and the genesis of the project: "Pursuit of my dream took me to Vermont Jazz Center to work with legendary jazz vocalist Sheila Jordan. I met Cameron Brown, Sheila's longtime bass-voice duo partner, a former Jazz Messenger known for his work with the George Adams Quartet and Artie Shepp. Cameron offered that if I came to New York, he would play on and help co-produce my debut record. Sheila also introduced me to the wonderful jazz pianist and mainstay on the New York jazz scene who she has worked with over the years, Ray Gallon, who she told me is like a son to her. Ray has played with many instrumental and vocal jazz greats. Cameron brought aboard Anthony Pinciotti, who he had met touring together in Russia with Sheila many years earlier. Ray invited us to rehearse in the land of jazz history, near Sugar Hill in Harlem, and we recorded at Trading8s with Grammy-award winning engineer Chris Sulit."